Flo Rida gives new meaning to "weekend warrior." On Only One Flo Part 1 he turns out the club, guzzling bottles of bubbly and macking on all the model-esque beauties. "The club can't handle me right now," he says in a sing-song voice familiar to Top-40 listeners. 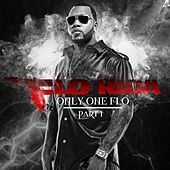 Flo Rida's hunger for the nightlife -- he even claims to need a "Respirator" if a girl won't go home with him -- fuels the cheery yet monochromatic Only One Flo. When his upbeat dance-pop wears thin, he slows the pace for "Why You Up in Here," unveiling a sturdy bounce-flow rap to match Ludacris and Gucci Mane's dirty South language.